OMG I love the pictures, they are so beautiful! Thank you so much! Celeste is a wonderful photographer and goes above and beyond the call of duty. A truly wonderful person who goes that extra mile for you. Would recommend her to anyone. Everyone loved the wedding pictures. Coming from Scotland to get married in Florida we were a bit nervous but made the correct choice with Celeste. Thank you for everything Celeste, you made it a wonderful experience. We still cannot believe how gorgeous our pics are...all our friends and coworkers can't stop telling us how amazing they are. Thank you once again for capturing our special day in such an amazing way! Celeste was great to work with, she arrived early and was very professional. When I first began interviewing photographers I was stunned how expensive most of them were. Celeste's prices were reasonable and her work was great! I would highly recommend her! Wonderful lady, reasonable prices. Awesome pictures. She had a full understanding of exactly what I meant regarding family pictures. I'm a photographer myself so I am very picky and with her photography -- no complaints. She's awesome. Once in a lifetime pics. The photos are beautiful. Thank you so much for them, you have done a great job and definitely captured the day. We will have lots of happy memories of the day for years to come. 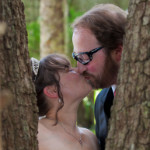 When we decided to have a "destination elopement" wedding at Walt Disney World, we knew how very important the photos would be. They had to be perfect for this once in a lifetime event. They had to capture not only the magic of our wedding day, but also the magic of Disney World. Luckily, we found Celeste! From the beginning and throughout the entire process, Celeste was professional, friendly, and a lot of fun to work with. She listened to us and what we wanted, all the while imparting her experience and expertise. Having Celeste with us on the big day was great - she kept us on track, made sure to get every photo we requested, and even reminded me to eat lunch! Talk about going above and beyond! We are thrilled with the quality of our wedding photos, they are beautiful. We are very happy to have chosen Celeste to capture the magic of our wedding day! Celeste was amazing! She did my engagement photographs as well as all of my wedding photography. She did a wonderful job with both! From our initial consultation through the delivery of my photos she has been very helpful and quick to respond to any of my questions or needs. She went above and beyond to ensure that my wedding day and all of the pictures were perfect. She is a very sweet woman and a great photographer. I enjoyed working with her and I highly recommend that if you need a photographer for any event you give her a call! I have so many beautiful memories of my wedding day captured in photographs thanks to Celeste and I cannot thank her enough for that! Celeste was absolutely excellent to work with! She greatly exceeded our expectations and I certainly recommend her to anyone looking for photography services. All of the pictures of the ceremony, the formals, and the reception pictures turned out fabulous! She is reasonably priced, extremely friendly, and genuinely cares about the couples that she shoots. Thanks for being such a huge part of our special day! The pictures are amazing and we could not be happier! Celeste and her husband did a phenomenal job shooting our wedding, they were not only a joy to work with but became quick friends. The photos turned out amazing and we couldn't have asked for a sweeter, more professional photographer. Thank you Celeste! We love the pictures! Thank you for everything! We just want to thank you so much for making the photographic memory of our wedding hassle free. The pictures are beautiful and exactly what we wanted! We hope you had as much fun taking our pictures as we had having them taken of us! Thank you so much for our beautiful pictures! Just wanted to drop a quick note saying thank you! You were great and did a great job! I will always give you as a great reference. Thank you again! Just wanted to get back to you to let you know the pictures were absolutely amazing! You really did a great job! We have shown a few people who loved them!